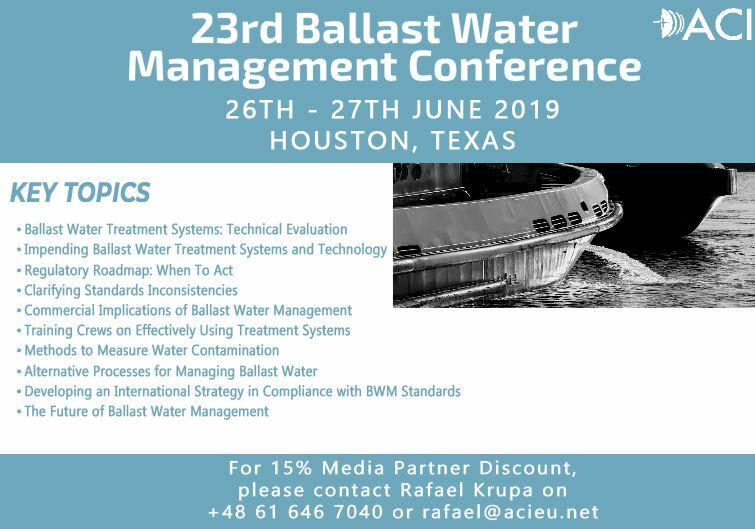 For more information kindly click here to review the website of 23rd Ballast Water Management Conference. Great partners are going on to join Overseas Project Cargo Association from all around the world. Today we are happy to announce you that HYUNDAI GLOVIS LOJISTIK DIS TIC. SAN. VE TIC. LTD. STI. is our new member from TURKEY. Hyundai Glovis provides intermodal logistics, road transport, finished vehicle stock management and car transport services, project transportation, forwarding & sea transportation, air transportation; survey & ship evacuation services, cargo transportation, warehousing-mechanical movements and line feeding services with more than 400 staff, with strong system infrastructure and equipments. At the same time, they are carrying out many well-known construction companies’ heavy load logistics. They are a leading company that carries with its own Ro-Ro vessels in the world. Hyundai Glovis Ro-Ro ships in the ports of Turkey has started to operate in Turkey’s port. They are aiming to make themself stronger by using this as an advantage. AirBridgeCargo Airlines (ABC Airlines) has recently added Dhaka, the capital of Bangladesh, to its international network. The all cargo carrier will operate the B747 service twice-weekly to accommodate the country's emerging export flows, which have seen westbound volumes grow robustly in recent years. This becomes the 14th destination in ABC's Asian network and extends the airline's ability to guarantee fast and seamless cargo deliveries to Europe, Russia, and the USA. The flight will be operated in conjunction with AirBridgeCargo's Shanghai, China, service and will give customers a vast choice of international connections over its Moscow cargo hub. "We have been reviewing the possibility of Bangladesh coverage for the last couple of years. The country's emerging volumes tipped over 25 percent growth last year as the number of manufacturers based in this country increased. "This fact makes us feel confident that our operations will be appreciated by customers, especially by those with garments and apparel commodities, which constitute the major part of traffic from Bangladesh," highlighted Sergey Lazarev, general director of AirBridgeCargo Airlines. He adds: "With the lion's share of cargo being Europe and USA bound, we will be able to leverage these flows, carrying various kinds of cargo, including temp-sensitive products, oversized and heavy shipments, live animals, e-commerce and others." OPCA continues to introduce you new members from all around the world. Our valued member ROUND LOGISTICS LTD., China referred one of its experienced, reliable and productive partners ASTHON CARGO BILBAO, S.L., Spain. Today, we are happy to announce you that ASTHON CARGO BILBAO, S.L. successfully completed membership requirements and joined among OPCA professionals from SPAIN. Asthon Cargo Bilbao, S.L. is a prominent international transport company specialized in air/ocean shipping and trucking; with comprehensive services in customs brokerage, warehousing, logistics and highly specialized in frozen/perishable commodities, dangerous and extra-dimensions cargo. They offer transport solutions for industrial projects including infrastructure, construction/development, renewable energy, oil/gas, and turn-key. Additional services include project feasibility reports, on-site inspections, road surveys, lashing/securing and welding. Together with their team of logistics and customs specialists, you can count on your cargo arriving at destination in optimal conditions with a guaranteed rapid and efficient service. From start to end they can assure efficient services: knowledge of the current international market trends, handling of customs procedure with the latest IT technological means, maximum security, professionalism and confidence with their partners. Today we are happy to announce you that MEISTER TRANSPORT, INC. is our new member from PHILIPPINES. Since 1987, Meister Transport, Inc. has developed a comfortable niche and a solid industry reputation in handling project shipments that entail complex and challenging transport and delivery arrangements. Their vast knowledge of global and local logistical issues and conditions give them the flexibility to adapt and ensure that planned processes and systems are applied. At all times they avoid unwelcome surprises by meticulously planning and organizing all aspects of transportation. Meister’s project solutions involve full understanding of cargo and client requirements, unconditional commitment from top management to projects staff, efficient utilization of modern transport tools, consolidation of global and local project expertise and exploring all means for client’s cost reduction benefits. British shipbuilder Cammell Laird has launched a new GBP 10 million (USD 13.03 million) ferry it has built for Isle of Wight ferry operator Red Funnel. The Red Kestrel, a new freight-only RoRo vessel, will operate between Southampton and Isle of Wight. The 1,070 gross ton newbuild will officially join the fleet on arrival in Southampton, and enter service in May 2019, following a trials and training period. The launch event marks the debut of Red Funnel’s first dedicated RoRo freight ship since the company’s inception. “We are delighted by today’s launch of Red Kestrel…We’re thrilled that not only will Red Kestrel increase our total capacity and enhance convenience for our cross-Solent customers but we also take tremendous pride in supporting the revival of world-class shipbuilding in this country,” Fran Collins, CEO of Red Funnel, commented. “We are especially proud to be working for a British ferry company, winning the contract against international competition,” Tony Graham, Cammell Laird Chief Operating Officer, said, adding that the shipyard sees a big market in ferry repair, conversion and newbuild. Red Kestrel is Red Funnel’s first ship to be designed for freight traffic. As a freight vessel, it is limited to 12 passengers and constructed specifically to provide additional year-round freight capacity for Red Funnel’s Southampton-East Cowes route, which currently handles 53% of all freight movements across the Solent. At 74 meters in length, the newbuild will provide 265 lane meters of roll-on/roll-off freight capacity. To minimize the environmental footprint, the hull shape has been designed specifically to reduce wash and a propulsion package has been selected to make the vessel highly fuel efficient whilst meeting the latest Tier III emission regulations. The use of azimuth thrusters will also make the ship very maneuverable, according to Cammell Laird. The crossing time of 55-60 minutes will be identical to Red Funnel’s existing Raptor class RoPax ships and Red Kestrel will use the same berths in Southampton and East Cowes. Based in the UK port of Southampton, Red Funnel carries 2.3 million passengers and over 800,000 vehicles on its ferry route between the UK port of Southampton and East Cowes and 1.1 million passengers between Southampton and West Cowes on its Red Jet Hi-Speed service. New Member from UNITED KINGDOM! Today we are happy to announce you that TUSCOR LLYODS (UK) LTD is our new member from UNITED KINGDOM. Tuscor Lloyds is an industry leader in project shipments. They have won awards for their project logistic services after moving thousands of project consignments. Their project team have worked together for more than 20 years with vast expertise in heavy transportation and oversized specialist haulage jobs. They work using local and global infrastructure, executing project movements by intelligently coordinating resources and orchestrating timing of movements. Their services include breakbulk cargo, out of gauge, heavy lift and full/part vessel chartering. They can be trusted with all your project shipping requirements. Today we are happy to announce you that FREIGHT FORWARDERS KENYA LIMITED is our new member from KENYA. Regardless of the terrain, Freight Forwarders Kenya Limited has the experience and equipment to devise the best solution for transporting a large variety of structures, materials, and equipment. They are equipped to handle heavy loads over public roadways, through congested work zones using specialized trailers and other transport systems. They engineer the move, identify the best-suited equipment, and manage all the logistics and jurisdictional load restrictions. They handle all types of cargo which can be part of a project, from small LCL shipments and containers, to very large and very heavy units (company record: a ball mill of 120 ton). To get the cargo to its destination they can apply all modes of transportation: by ship, road, rail or air. As a result of the demolition work at the viaduct on the A3 motorway, there was no longer a route for five-axle LTM 1250-5.1 to be driven off the site. Therefore, Weiland utilised its 450-tonne capacity LTM 1450-8.1 to hoist the smaller mobile crane off the abutment. Terminal operator orders one STS crane, two RTGs and nine terminal tractors. Halterm Container Terminal in Halifax Nova Scotia has announced another equipment order as it gears up to handle two large container vessels simultaneously. Halterm has announced it is making “a significant investment in a Super Post-Panamax ship-to-shore container gantry crane and associated lifting equipment, together with an extensive order for container yard equipment, including 2 Rubber-Tired Gantry Cranes and 9 Terminal Tractors and Trailers, with an option to extend procurement to a further Ship-to-Shore crane in 2019”. The STS crane order has gone to ZPMC, with delivery scheduled for June 2020. The crane will have a 24-row outreach, and join Halterm’s four existing Super Post-Panamax units and one Panamax unit. The two RTGs ordered from Konecranes follows an order for three Konecranes RTGs the terminal placed in 2017, with delivery last year. Winning the terminal tractor order is a breakthrough for Terberg. Halterm’s previous order for terminal tractors went to Kalmar (13 machines in 2016), and it is thought this new order will be its first Terberg machines. Terberg has been trying hard in the US market, where it opened a regional office in 2014. Halterm is know to be up for sale by its owners Macquarie Infrastructure Partners, but there is no further news on a potential buyer at this stage.